He travels all over the world photographing aircraft, and also keeps you up to date with flights between this region and UK & Irish airports, and any other airport news that seems relevant. The winter season starts after the last weekend in October. What is really noticeable is how few flights there are to the south of France in the winter compared to the summer months. Some airline schedules completely omit the south of France at this time of year. The most startling news is that Girona has not a single flight this winter from either the UK or Ireland, quite incredible after a really busy summer with lots of new routes. Once again Barcelona’s El Prat airport has the vast majority of traffic. This information was amassed in late August 2018, so by the time you read these words there might have been some changes. Sad news is that yet again we have a winter with no direct UK flights. I am afraid that Ryanair do seem to have blinkers on. Argelès-sur-Mer has the most camp sites in Europe, so a definite need for a low-cost service to Gatwick. The airport has been trying hard for a Gatwick service but Gatwick’s single runway is just so busy that there are no availability of slots at the right times. Like Carcassonne, Ryanair has a free run at this small airport. In the summer five routes were operated, but this has now been cut to just Luton for the winter months. Ryanair remains the sole operator here, with three routes operating in the winter.. The airport we use as easyJet has daily flights from Gatwick in the summer, and in fact this London airport is the only UK destination served this winter as the Luton service terminates in the autumn. There tends to be more flights to Toulouse from UK regional airport in the winter due to skiing opportunities, with Andorra not too far away. Ryanair is the sole operator for P-O readers, but nothing in the winter. As always, a good variety of flights to and from this airport. After a busy summer where no less than … UK and three Irish destinations were served from this airport, the winter of 2018/19 sees a big fat zero in the number of flights. Please note that these are the average number of flights per week, and will be variable in the shoulder and peak seasons, that is why you will sometimes see a minimum and maximum number listed. If you think I have missed any then please contact me on info@anglophone-direct.com. Please do bear in mind airline schedules do fluctuate. At Perpignan last year a French airline decided to cancel planned flights at three weeks notice – after the airport had spent money advertising the said route. Bus/Train ……. The airport bus from Perpignan railway station takes about 20 mins and runs regularly from app 06.30 to 19.30 Mon to Sat, with a much reduced service on Suns and Holidays. 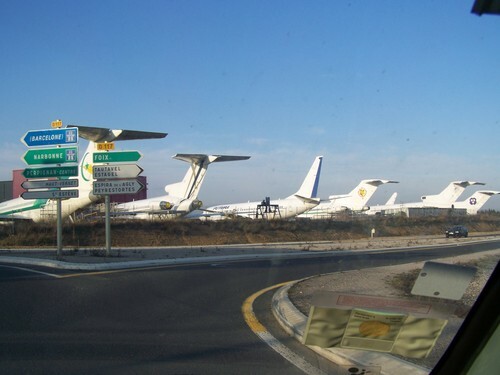 Taxi..…..3 taxi firms have the right to use the forecourt at Perpignan airport. Prices average about 2€50 per km, so fares for single trips to coastal resorts and the Alberes/Vallespir can be eye-watering ! Car..…… PGF is north of the city near Rivesaltes. Since the recent modernisation, parking supply is ample and costs around 40€ per week. Bus/Train.….you can travel to Carcassonne railway station from almost any station in P-O, but must usually change at Narbonne. From Carcassonne, there is a shuttle bus that individually connects with each flight departure and arrival. Single fare 5€. Car.……The airport is right by jcn 23 of the A61 autoroute. There are 3 car parks: short, medium and long stay, and a week in the latter costs 40€. Bus/Train…….All trains from PO stations to Montpellier and beyond stop at Beziers. From there, there is a shuttle bus that individually connects with each departing and arriving flight. Single fare 1€60. Car. …..the airport is close to jcn 35 of the A9 autoroute. 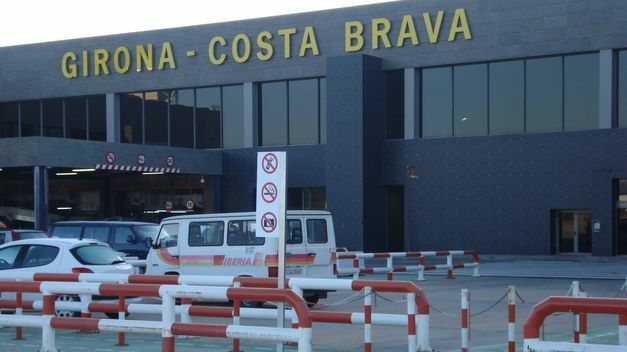 There is ample parking right next to the terminal and costs 40€ per week. Bus/train ……… Not an easy airport to access by public transport anymore. A train from Perpignan will take you to Girona station, the easiest option from there being a taxi at around 40 euros. ( price not confirmed). Car.…….The airport is right by jcn 8 of the AP7 autopista. Several car parking companies exist both on and off the airport, and the official on-airport car park do regular promotions. For example, at the time of writing, a prebooked stay of 7 to 20 days costs a flat 42€. Train……. The new Barcelona Metro line L9 now serves both Terminal 1 and 2 but only from stations south of the city so is of limited use if coming from P-O . The suburban train R2 Nord runs from Sants station in the city every half hour, but serves only T2 . As regards accessing Barcelona by rail from P-O, there are 4 trains to/from Perpignan daily direct to Sants station, but unfortunately the earliest of these arrives Sants at 12.38 and the latest departs Sants at 16.45. A better bet is Figueres Vilafant (AVE) station which offers a virtually hourly service to Sants from 06.30 to 21.00 daily. Bus….. The Aerobus runs from the Plaza de Catalunya in Barcelona city centre all day every 5 minutes to Terminal 1 and every 10 mins to Terminal 2. Perpicat (see Girona listings) run one morning service direct to Barcelona airport at a single fare of 50€ . There is a free green shuttle bus between terminals. 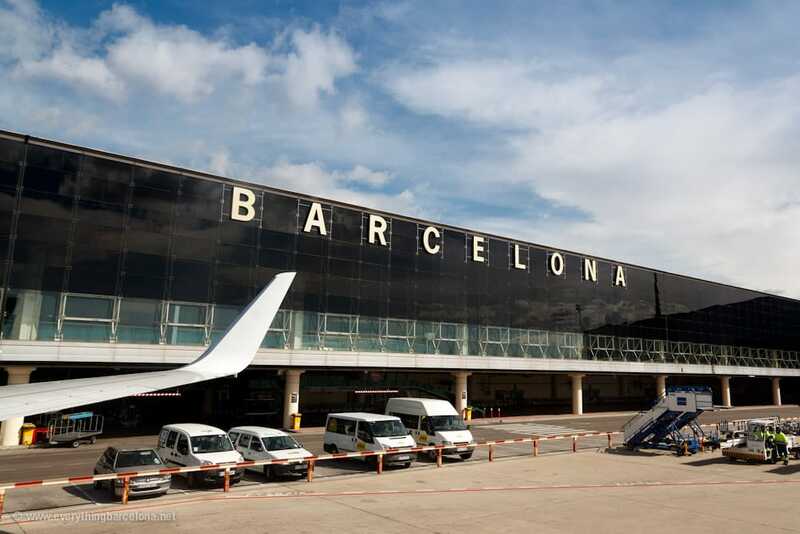 Car.…… Barcelona airport is on the south of the city just off the C31 autovia. I find that, generally, easiest access is via the AP7 toll road, continuing round the city onto the A2 autovia as far as the C31. Reckon on 2h15 mins from Le Boulou. Once there, parking options are vast. As a rule of thumb, the nearer the airport terminal, the more you’ll pay, but even at popular times you should need to pay no more than 8€ per day. I recommend looking at the official airport site, as there are often deals and promotions. For example at the time of writing prebooked up to 20 day stays in the main T1 multi storey just 3 minutes walk from the terminal were only 75€ ! Another option, particularly if you are catching an early flight is using one of the 4 local hotels that offer free shuttle buses direct to the terminals. You can leave your car free by the hotel, and usually rooms are available booking in advance for about 70€ . Try www.booking.com for details . As I’ve stressed in this article, pre-booking tends to save you money, so a little pre-planning and flexibility usually pays dividends. But console yourself with the thought that, generally, transport and parking costs are a lot cheaper here than in the UK, where I’ve regularly paid more for my journey from East Anglia to Stansted than for the air ticket from Stansted to Perpignan ! Le président de Ryanair entre dans un pub et commande une Guinness. “C’est trois fois rien!”, pense O’Leary tandis qu’il laisse la pièce sur le bar. “Dites, si vous n’êtes pas venu avec votre propre verre, il va falloir payer deux euros de plus”, fait remarquer le garçon. “Tout ceci est un attrape-nigaud, je veux parler avec le responsable du pub”. “Vous ne pouvez le joindre que par courrier électronique !”. A propos, si vous ne comptez pas laver votre verre, c’est deux euros de plus.